The Seminary Cooperative Bookstore will hold a meeting to talk about whether it should restructure. 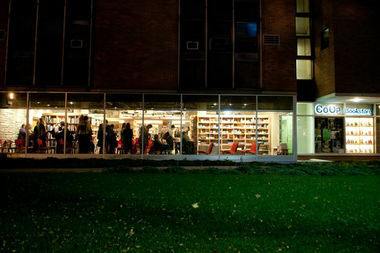 HYDE PARK — The Seminary Cooperative Bookstore is holding a town hall Thursday to discuss a proposal to dissolve the co-op and reform it under a new model. The bookstore’s 61,395 shareholders are invited to the store, 5751 S. Woodlawn Ave., at 6 p.m. Thursday to talk about proposals that have been under consideration since January. At the annual shareholders meeting, director Jeff Deutsch brought some good news about sales, but suggested the bookstore consider restructuring to stay viable over the long term. Among Deutsch’s suggestions at the time were changing to a nonprofit or converting inactive shareholders to “members” that would keep their discounts but lose voting rights within the cooperative. The meeting will be a chance for shareholders to ask questions.